Affiliate Marketing is the art of selling other companies products on your website/blog. If you’ve developed an interest in this field you might have already heard that some affiliate marketers rack up millions while another scrape by just to pay for their web host. How do you avoid the pitfalls of affiliate marketing, you might ask. Well, I’ve gone through some of the things that I do to bring in traffic that wants to hear what you have to share. Check out these 6 tips on for affiliate marketing websites. Tip #1 What’s your niche? Your niche or the small corner of the market as I like to call it is the most important thing to have before starting any affiliate website. That corner is where the least competition is and the most money can be gained. Take technology for instant, if you make a website on computers, you probably be competing against big name brands like Best buy or Radio Shack who already have tons of relevent content. To stay afloat in this market, your niche needs to be something you enjoy and be very specific. For my niche above, you might choose computer accessories like mice, keyboards or USB drives. The second most valuable thing beside a niche is the content you provide. It is your job to write content that readers actually want to read, not a jumble of words just to get your keyword out. Your content needs to be compelling, relevent, sociable and written with intent. Think of your website as a canvas and your content the pictures, when you step back you need to be able to tell yourself the job well done. Does it keep you reading, do you feel you got something out of it. Also remember, it doesn’t have to be perfect, Picasso’s paintings were never perfect but he captivated his audience to this day. By giving your readers valuable information on whatever topic you are sharing, they will start seeing you as a legitimate source of information. This leads to more conversions on whatever product you are promoting. That line may be a little confusing, it was confusing to me at first. Cross channel promotion means not forgetting any source of traffic that may be out there from email marketing to social marketing. Check this great article I wrote on email marketing, just adding that one little link to your website might mean the difference between some traffic and no traffic. When it comes to social marketing, I’m not talking about dedicating all your time on all the social channels but using them as tools to promote your main content on your website. Every time I create a post on my website, I send them out to all of my social channels which take me More more than 15 minutes. When promoting something, you’ve got to make sure it’s relevant to the website you have. Don’t should put a clothing review on a pet website, unless of course, your website is on pet clothes. Yeah, I know, pet clothes are a thing, don’t ask. 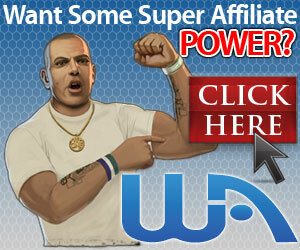 You get what I mean, there are tons of affiliate programs out there. Make sure you do your homework before creating a review for your website. And when I say readable, I mean, don’t throw promotions all over your website. Limit it to 1 or 2 banners and ask yourself, can I read this or would I decide to move on? More than ever on the internet, Honesty is the best policy. Promoting quality products and being 100% truthful in your reviews are a must in a small niche business. Never recommend something that you would not buy yourself. In the beginning of every affiliate website, your building trust not necessarily an income. Previous Previous post: How To Start An Online Business For Free. Next Next post: My Mad Mini Review, Is It Legit Or Scam? I must say that your number six tip of honesty is the best policy is very true. By being dishonest, people will remember your website and people will start to boycott the website. Stay true, give credits to references you use and people will trust your website more! More trust more viewership! I agree with you, when you first start in building a business Online, your first goal is to build a reputation and trust. The money is the only the result of the trust that you have build, do business the right way and you will avoid any pitfalls and have a lasting income.